EFFECTIVE 1 January 2016, please note our new contact information: Email frontoffice @ vrphobia.com and Telephone +1 858 642 0267. Virtual Reality Medical Institute (VRMI) is a Belgian corporation located in Zaventem (Brussels). VRMI was selected to participate in the June 2013 Belgian Economic Mission to California, led by Prince Philippe, now King Philippe, of Belgium. Our Belgian Institute is involved only in Research and Consulting. All clinical services are done at our U.S. clinics. If you wish to come for Condensed Treatment, we do see individuals from other countries/states for individual therapy over one to two week time periods (one session per day Monday through Friday) at both our Sorrento Valley and La Jolla, California clinics. VRMI established the first Belgium-based Virtual Reality (VR) and Biofeedback-enhanced Cognitive Behavioral Healthcare Clinic. 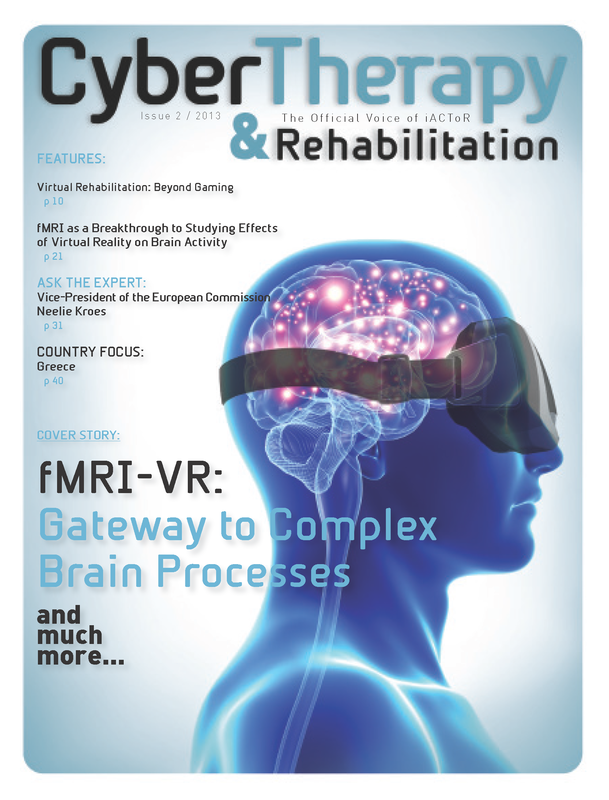 VRMI now focuses on medical and psychological research studies using Virtual Reality technology, as well as participating in EU projects and EU consulting. – Research – VRMI works with international funders and partners to study the possible application for technology as it relates to, for example, stress-related disorders, anxiety disorders, acute and chronic pain, cognitive and physical rehabilitation, posttraumatic stress disorder, stress inoculation training, smoking prevention and cessation, medical training, teen driver training, and pharmaceutical effects. In addition, VRMI is involved in human-computer interaction research, helping to understand the impact of social networking and other technologies on individual behavior, relationships, and society as a whole. – Education – VRMI publishes journals, articles, books and other communication materials in order to inform and educate both a professional audience and the general public. – Collaboration – VRMI encourages international collaboration through conference organization, continuing education courses, advanced think tanks, other specialized events, and presentations at seminal conferences. To facilitate its growth strategy and to enable the clinic to carry out demanding dissemination and exploitation projects, as well as clinical and marketing trials, VRMI employs highly qualified personnel, who work in state-of-the-art hardware and software facilities. Its in-house expertise is greatly expanded via a network of international collaborations with similar but complementary organizations and very high-level experts. Research and technological development The VRMI team has a proven track record of assembling the best scientific team to produce sustained, successful performance on research projects, and has patented several inventions. Demonstration: In addition to winning research funds, the VRMI team has won product development funds, bringing several software and hardware products to prototype stage and attracting venture capital interest. Innovation activities – protection and dissemination of knowledge: The VRMI team excels at knowledge dissemination through publication in peer-reviewed journals, the organization of conferences, meetings, workshops and other events, and presentations at seminal conferences, while assuring the confidentiality of partners’ intellectual property. Project management: As its global partners will attest, the VRMI team embodies continuous improvement in project management practices, superbly coordinates the work of scientists in different countries, and consistently meets deadlines and cost targets. Training of researchers and key staff: The VRMI team holds several current training contracts for end users of its products, with a 100% satisfaction rating. If there is any point not answered through our website, please do not hesitate to contact us at any time. For detailed information about the team, please go to the Team page.